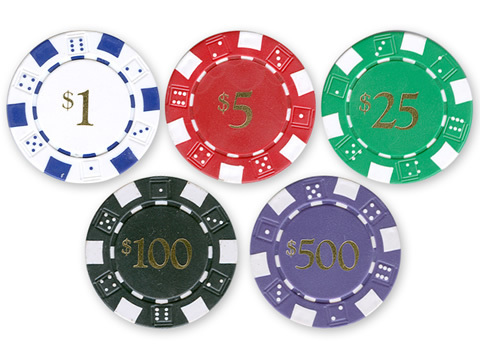 Other denominations of Dice Value Poker Chips are available on a special-order basis. Allow two to three weeks for special order denominations/colors. The minimum order is 25 Dice Value Poker Chips (you can mix and match chip denominations). Pre-Denominated Poker Chips with values ship within two business days of when you order.